Catching crooks, or violating privacy rights? 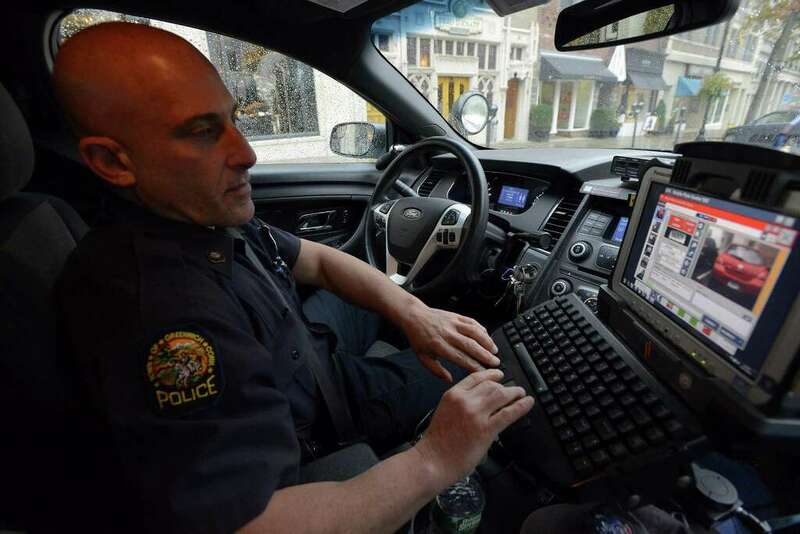 Last Tuesday (September 5) the Common Council authorized the Franklin Police Department to ADD two more automated license plate readers to be installed on patrol cars as soon as possible. These additional plate readers will add to our existing units and allow a greater number of squads looking for stolen cars in the city. This summer, Franklin has experienced a sharp rise in stolen cars. In many cases, the perpetrator has arrived in the city in another stolen car. With these ADDITIONAL units we’ll have even better coverage to try to apprehend these criminals before they steal or burglarize in the city. On the surface this sounds great. We need to nab the bad guys. Officer Jason Levy of the Greenwich Police Department on patrol with a LPR unit (License Plate Reader) in Greenwich, Conn. on Thursday, Oct. 27, 2016. This concept is not without its critics. Note the above infographic is dated 2013. I recall reading about license plate readers (LPRs) around that time. That’s when news broke about police all around the country implementing this new technology (71% of police agencies according to a 2012 study). Those concerned are quite supportive of using LPRs to apprehend criminals. How long do departments keep the license plate numbers of non-violators on file? That’s the sticking point. Just two weeks after the above infographic was published, the American Civil Liberties Union (ACLU) issued a report about police storing data on millions of innocent people. It examined numbers from 38 states and the District of Columbia. The systems will alert police when a camera recognizes a car on a “hot list,” an index of cars that are stolen or believed to be tied to criminal activities. However, most ALPR systems collect and store data on every car (i.e. they don’t distinguish between suspects and innocent civilians). Even if a vehicle isn’t involved in a crime, data on where it was and when may be stored for many years, just in case the vehicle later comes under suspicion. Consequently, a breach of an ALPR system is a breach of potentially every driver’s travel history. Depending on how much data has been collected, this information in aggregate can reveal all sorts of personal information, including what doctors you visit, what protests you attend, and where you work, shop, worship, and sleep at night. As far as the records being kept on file, the ACLU claimed in 2013 that in 45 states there were no laws on how long police can keep them. Police departments contend LPRs are not all that costly, they’re effective, and besides, no motorist is guaranteed privacy on a public street. It’s interesting that as Franklin expands its use of LPRs, an article I linked to above reports some areas are moving to restrict the devices. You can read the ACLU report here.